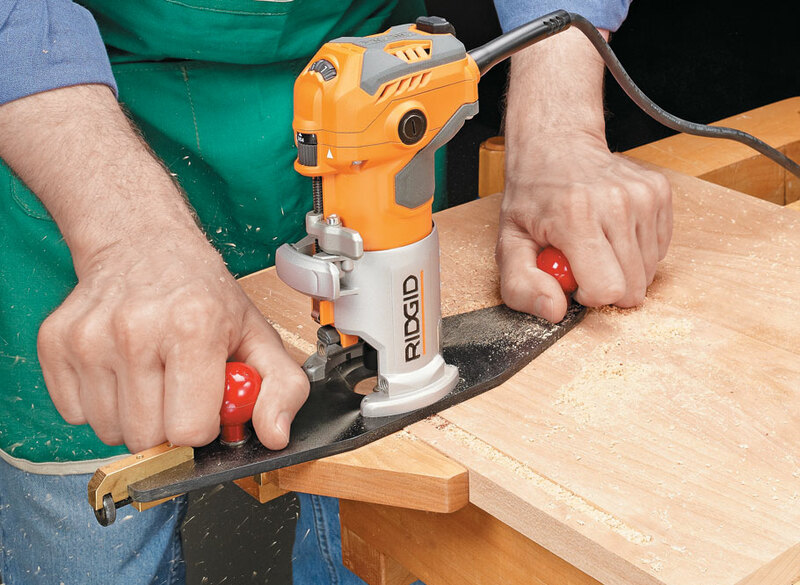 A palm router has become the go-to tool for many routing tasks. It’s light, and easy to control, but powerful enough for most jobs. 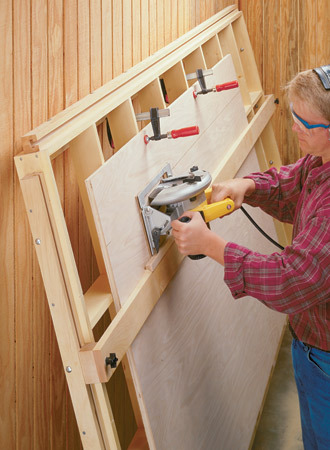 The only problem is that the base is small and provides limited support when working close to the edge of a workpiece. 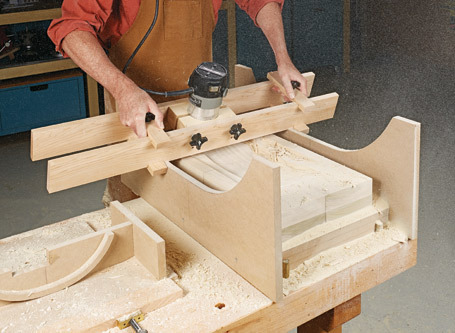 The router base you see here is designed to address this issue. 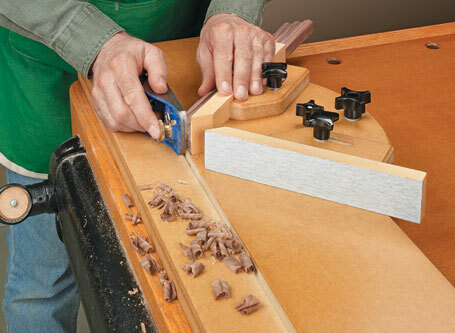 The wide baseplate provides stability, which helps keep the router from tipping during use. 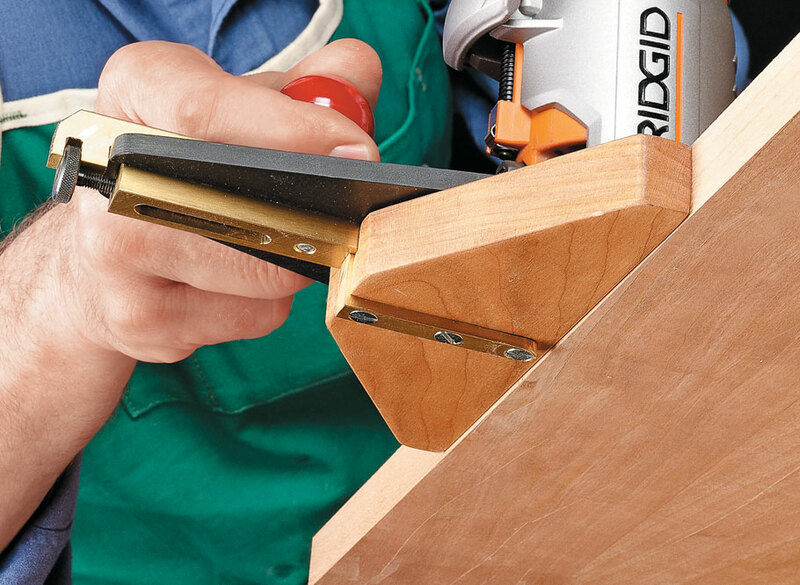 And to ensure an accurate cut, there’s a micro-adjustment feature that allows you to fine tune the bit location. 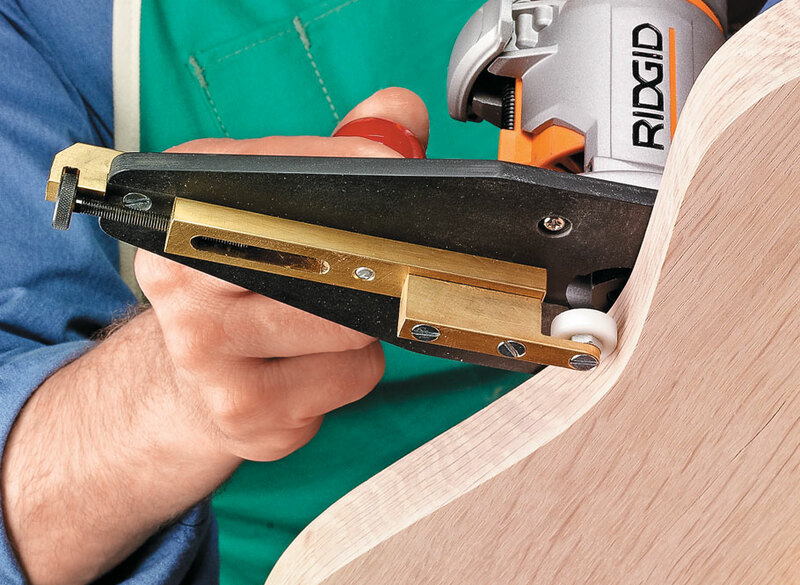 There’s even an option for routing along contoured edges. Some simple shop-made hardware is the key. 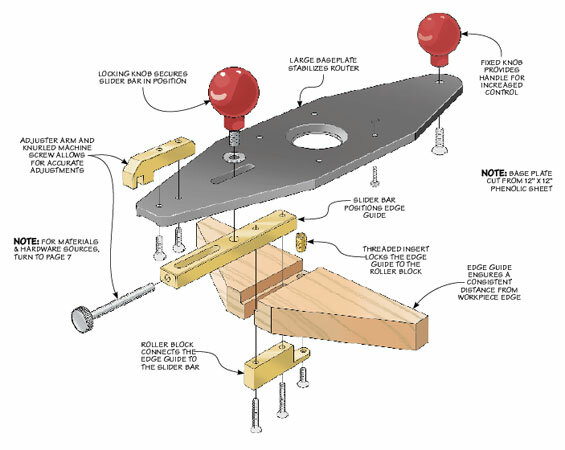 And as a bonus, you’ll find plans for a shop-made router trammel. Perfect, accurately sized circles will be a snap.